”No significant learning can occur without a significant relationship,” says Dr. James P. Comer, professor of Child Psychiatry, Yale University. These words are totally true, as tight connections between parents, teachers, and students lead to effective and joyful education. In most of the schools, teachers are overloaded with paperwork, so it's difficult to keep track of all the processes, monitor student progress, and support connections with parents. Fortunately, there are great tools that help teachers, parents, and students keep connected. They are called classroom management apps. In this article, you will learn about the types of apps for teachers, students, and parents, their main features, and revenue channels. Ready to start the journey into the world of effective education? Apps for teachers and students. They are usually for communication with students, where they can send reminders, assignments, homework, share useful resources, and create discussion groups. Marketplaces, that connect schools, teachers, organizations, and parents. Schools can post their school projects, communicate with each other, collaborate and share their ideas about lesson structure and creative teaching. Provide teachers with an intuitive and user-friendly lesson planning board that will save time and saturate the process of lessons planning with creativity. 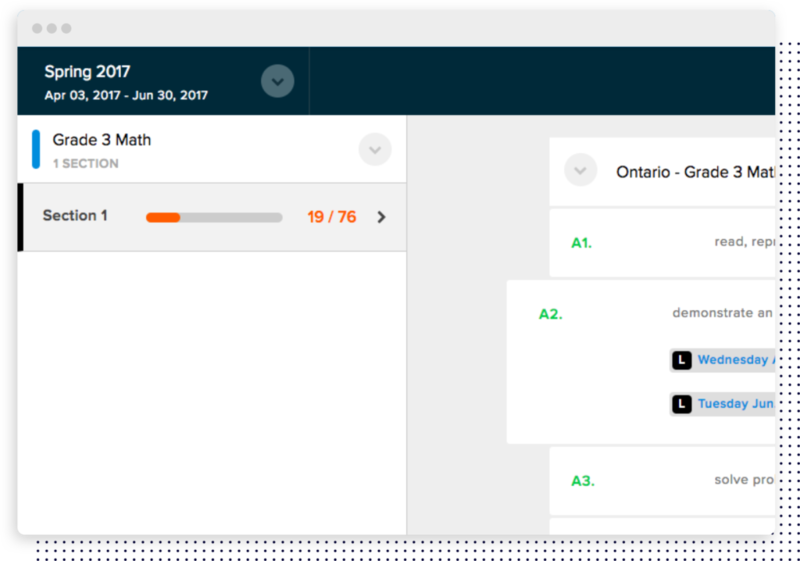 Let the teachers create custom lesson templates that will help them to organize their ideas and lesson structure in the best way possible. 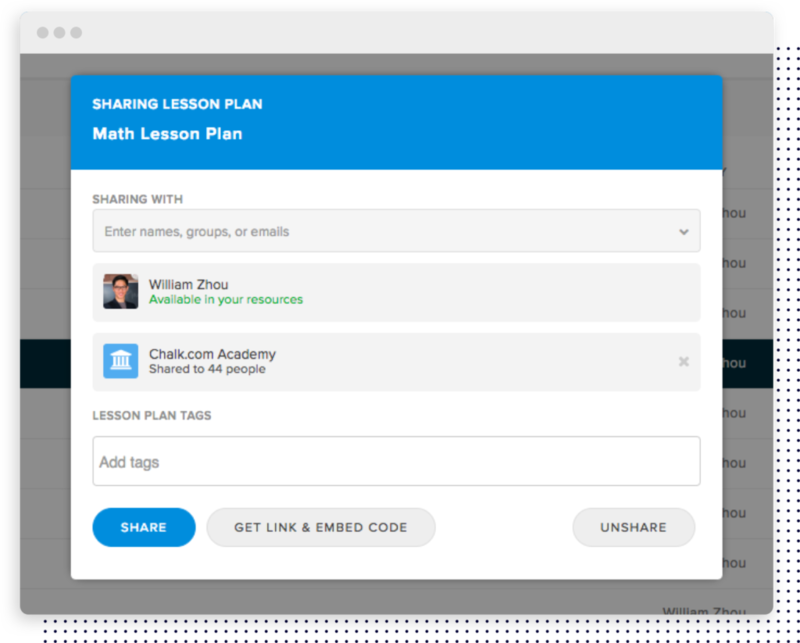 For example, Chalk - platform with data-driven education, curriculum, and assessment tools provides teachers with a planboard, where they can plan lessons, compose curriculum, and manage schedule. Teachers can track standards and curriculum expectations. They can choose from the available selection of standards or create and upload their own. You can also allow teachers to create their own lesson templates and share them with colleagues. 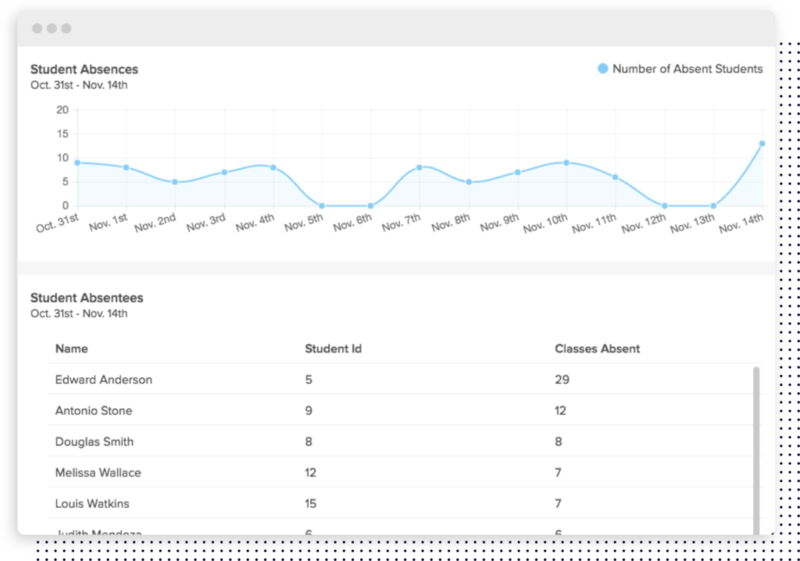 Attendance tracking is a great feature that will let teachers easily control the student’s attendance over a day/month/year and create attendance analytics. 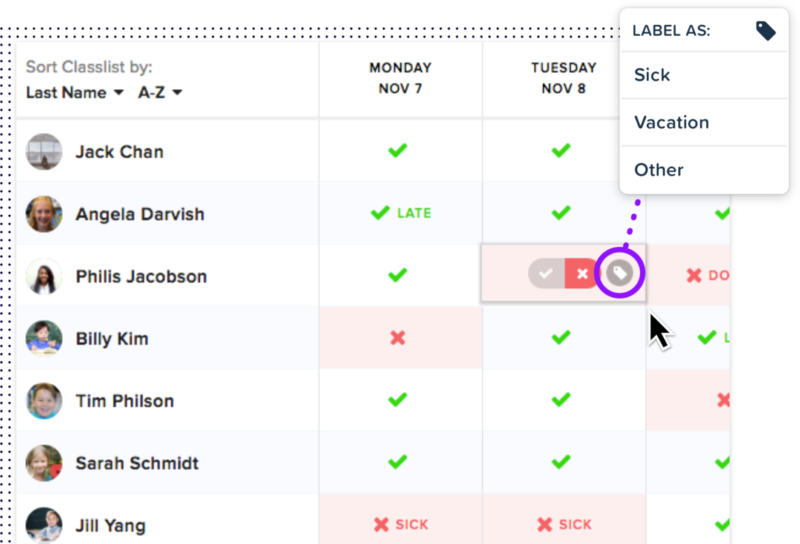 For example, in Chalk app students are present by default and teachers only have to mark those who are absent. It also has a smart attendance, that automatically marks the student presence based on their last status. Let’s review another example from Alma. 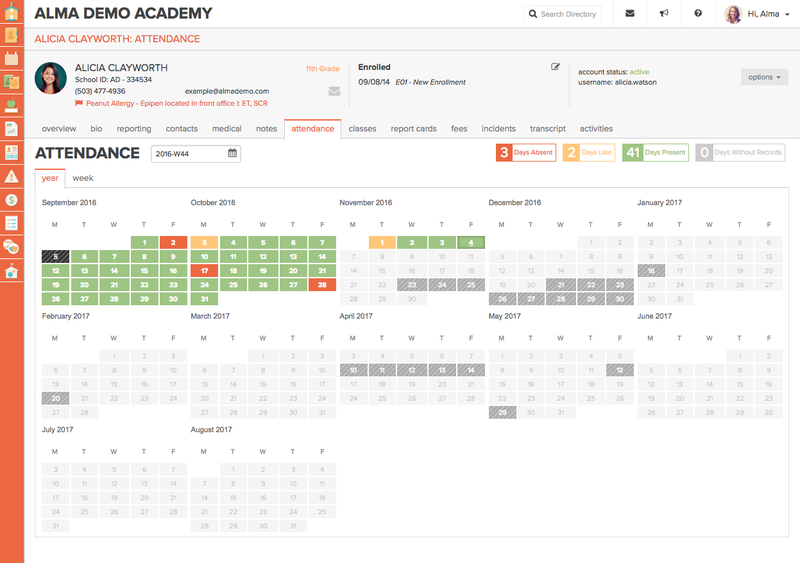 It provides a separate dashboard for each student, where the teacher can view his/her attendance. Attendance analytics Let's see in what forms different apps present the attendance analytics. In Chalk app, teachers can select the date range and see the number of students that were absent during this period. There is also an option to see the number of absences per each student. 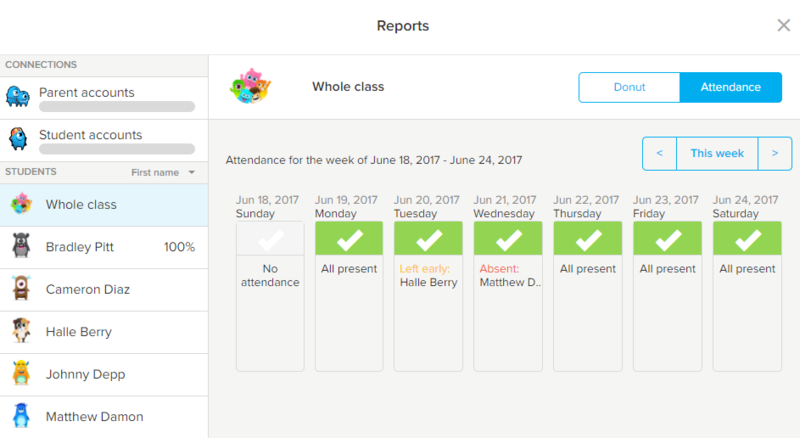 The main advice here is to make the attendance tracking and reporting features as easy and intuitive as possible without teachers having to do a lot of actions. Simple marking or drag/drop are one of the best options here. Performance reporting can include such factors as overall attendance, behavior details, grades, and school activity. 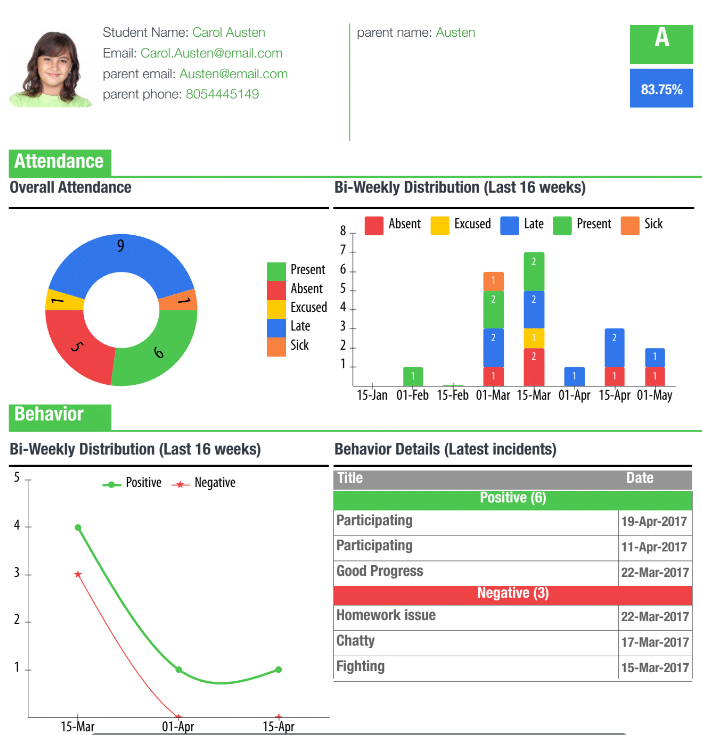 Check out the performance report templates in TeacherKit - classroom management tool. 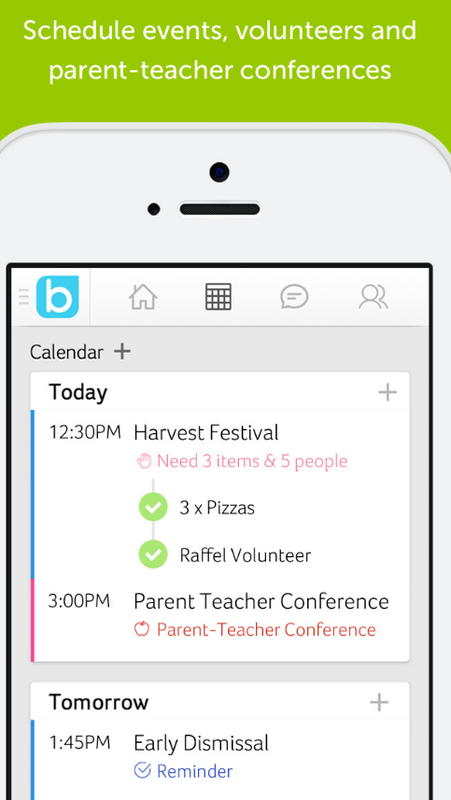 Сlass calendar allows teachers to plan the school activities in advance, inform parents and students, and receive reminders about the upcoming event. Let students create their own digital portfolio where they can add their achievement and share it with parents and teachers. To make this process transparent and honest, teachers need to approve the materials students post. 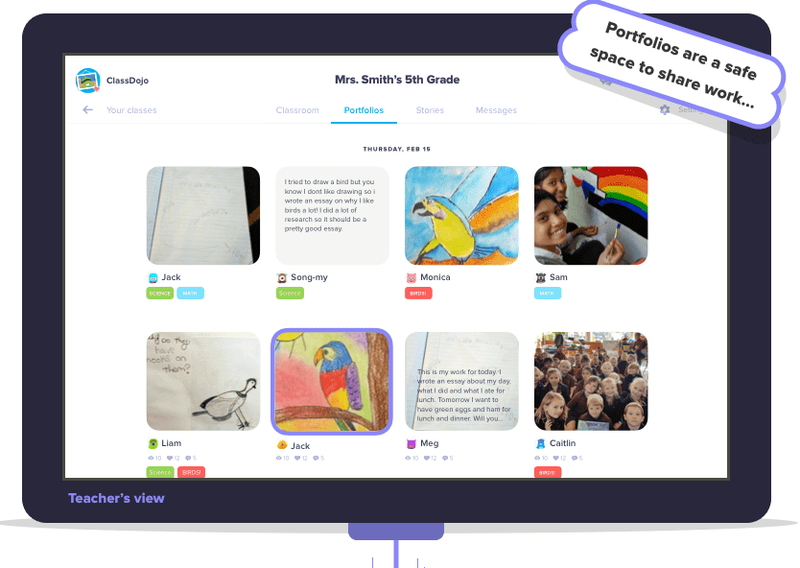 Here is how digital portfolios look like in Dojo app. Сhildren can include such items as pictures, documents, notes, drawings, etc. and only child's parents can see these works. Another example of how to make a digital portfolio more vivid and bright is from Wabisabi app. It enables students to add video/audio and images and create media-rich portfolios. 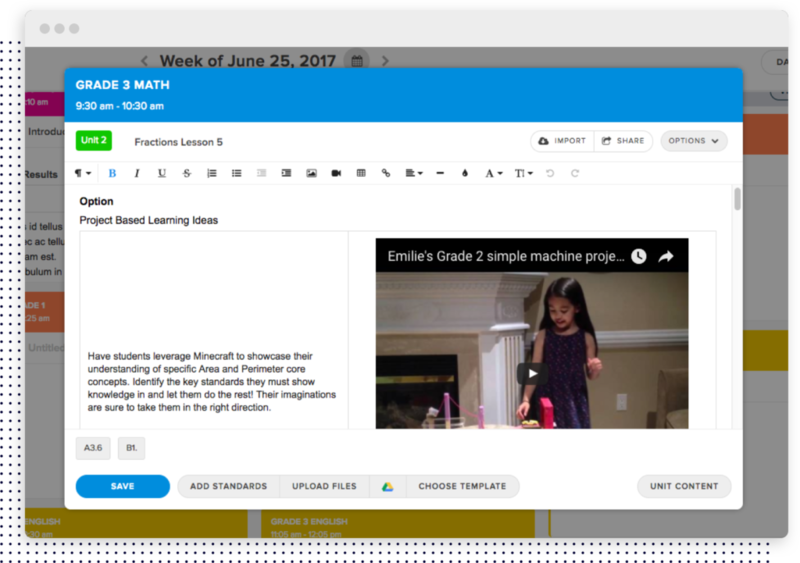 Communication tools help students stay tuned for any important school updates, changes in lesson schedule, or homework activities. 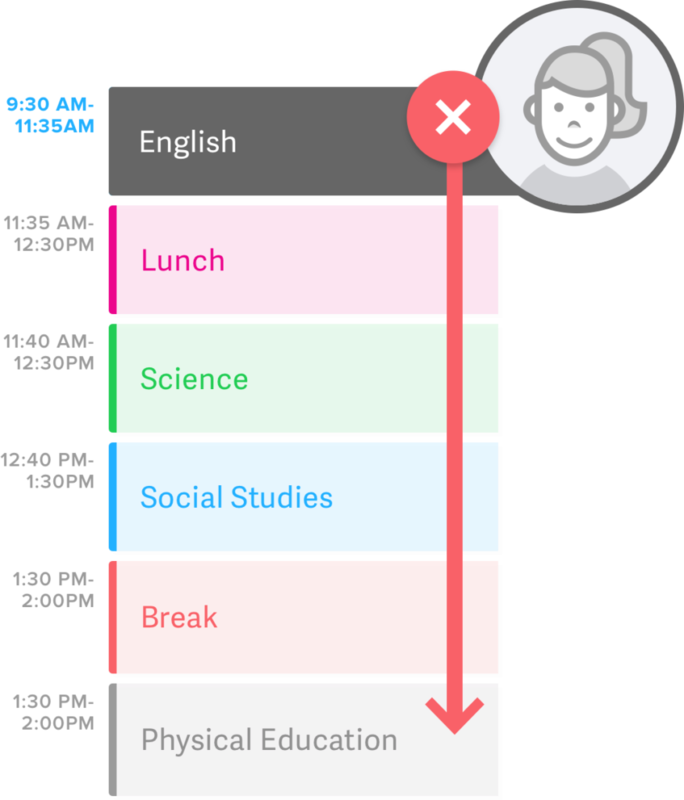 Real-time communication will enable students to receive notifications, reminders, and messages from their teachers and never miss an important thing. Let the parents pay for school expenses via the app and automatically receive invoices and receipts. For example, BrightWheel offers a billing platform that integrates with the bank account. 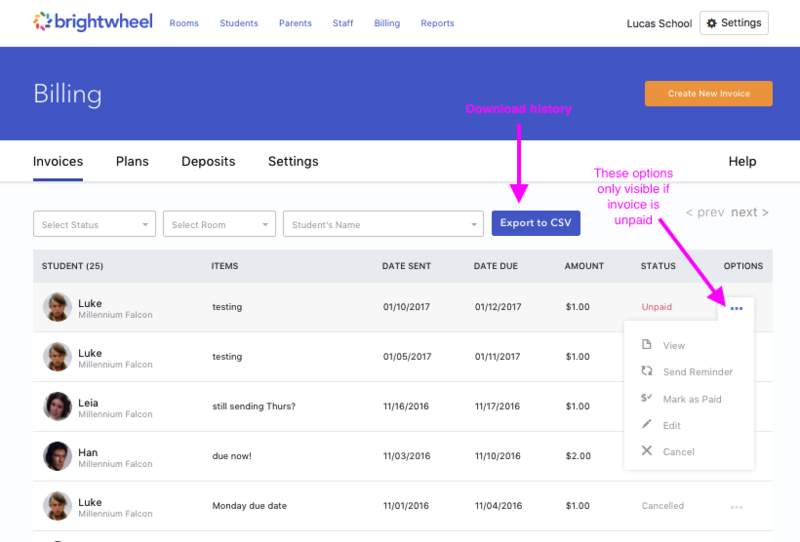 There teachers can invoice parents, send payment receipts, and see the payment status. Parents need to know what is happening in school. 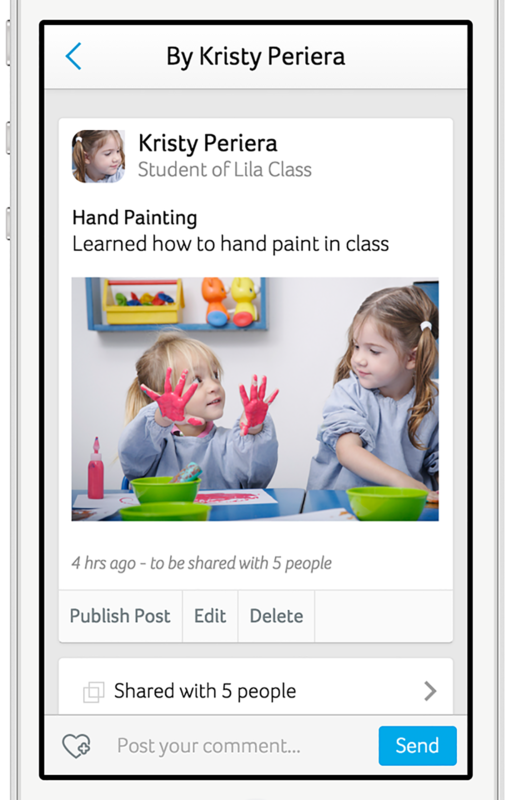 With the help of feed that is constantly updated, teachers can send the parents information about the activities during the classes and achievements of their kids. For example, in Bloomz, teachers can share student work with parents and build the collection of student projects. It enables parents to track the progress of their children and see their talents arise. 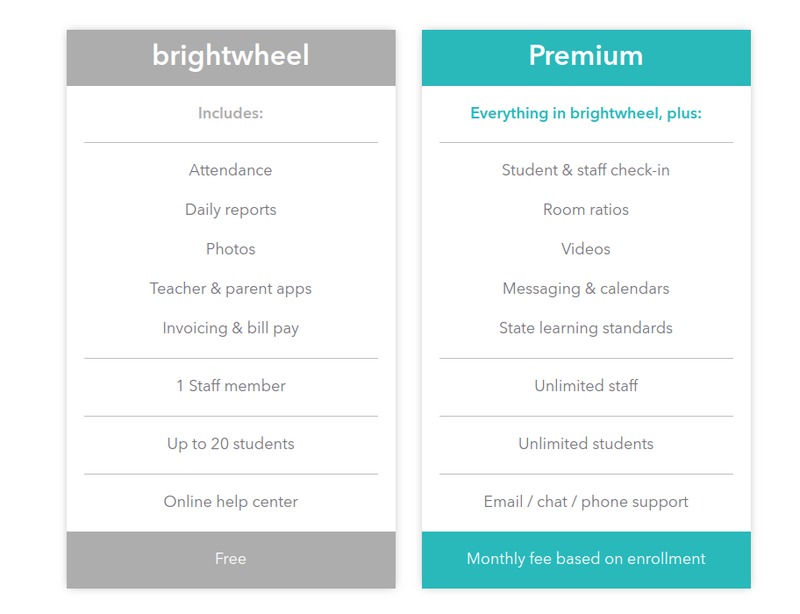 Freemium is the main business model that is used by class management apps. Your task is to bring value to the education, make it more flexible and modern, and provide teachers with the efficient tools useful in their work. So the best way to achieve this is to make the core functionality of your app free. Let's see how others manage it! It offers two packages: free and premium + ability to try premium package for 30 days for free. 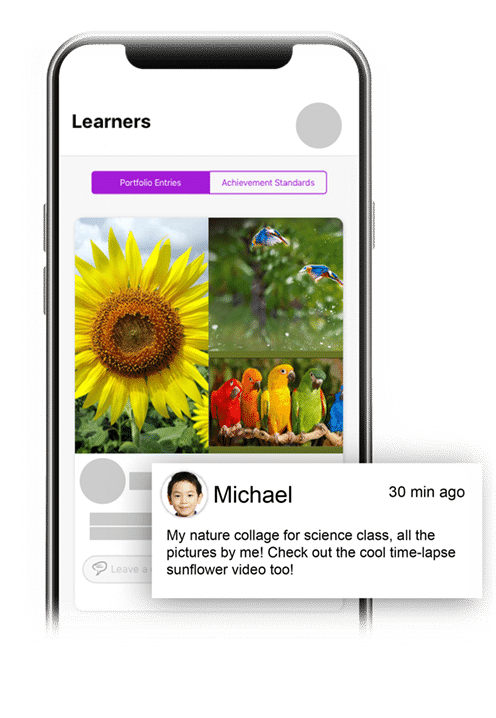 Bloomz is completely free for parents and teachers. Bloomz is funded by prestigious investors like 8VC, FFVC and others, as well as past senior leaders at Google, LinkedIn, Microsoft and other reputable companies. They have also recently launched premium packages, but the basic functionality of the app remains free. The software available is free for individuals (such as a classroom teacher). Groups, schools districts, and organizations will be charged. Apps for teachers, parents, and students aim at breathing a new life into modern education. If you have an intent to create a school management software, think about how you will be different. A great option is to focus on a local niche and create a solution for schools in your city or country. It is an amazing way to build a dedicated community of people who want to make a difference!